I love the start of a new month because it means a new section in my Bullet Journal! 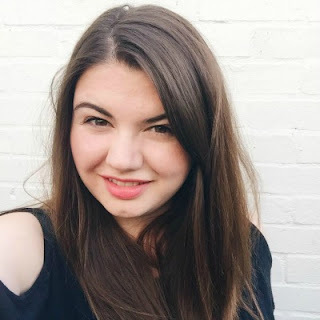 We returned from our holiday a couple of days before the end of September, so starting October really felt like a fresh start and I was itching to get some normality and routine back into my life. I love going away, but I also love coming home, getting organised and back on top of everything again - it just feels so satisfying. 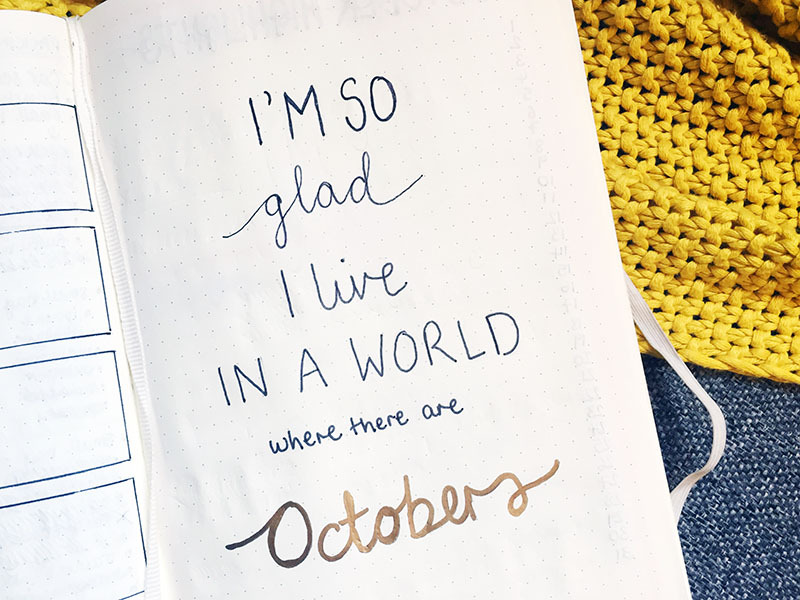 The first page in this month's section of my bullet journal is a quote from Anne of Green Gables, "I'm so glad I live in a world where there are Octobers". I feel like this is quite fitting for me as October is by far my favourite month of the year. I really like to start each month with a title page so I can clearly see where one ends and the next begins. I then have a double page spread for my highlights, goals and to do list for the month. 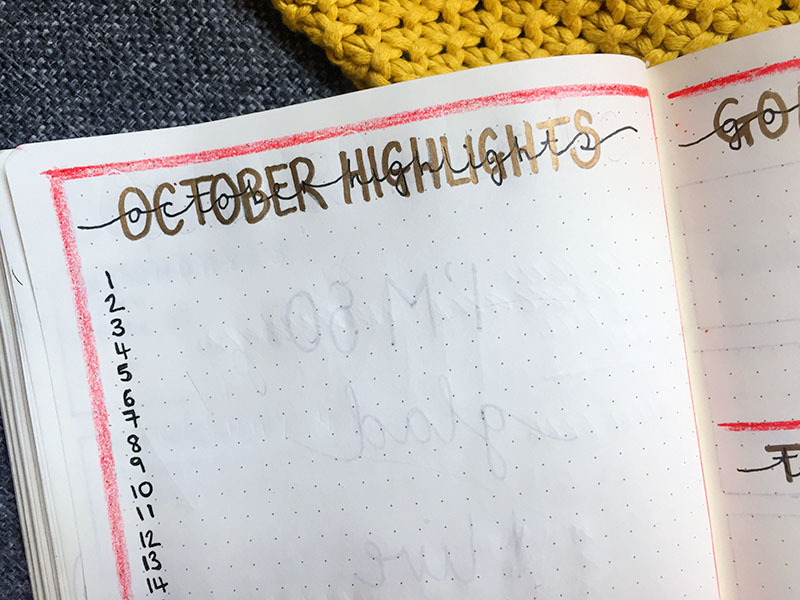 I've been tracking my highlights, which are my favourite moments of each day, for the past couple of months and it's really nice to look back at the little things that made me happy. 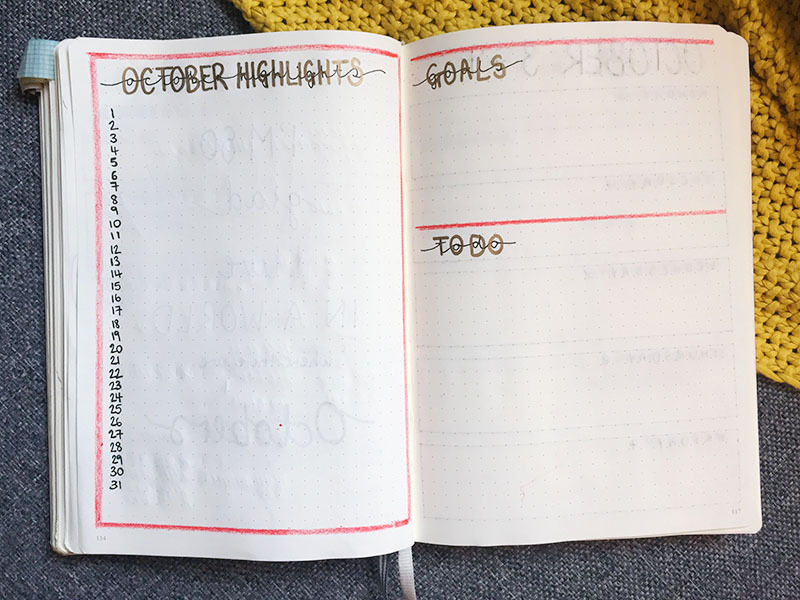 I've never had a monthly goal section or to do list before, so I thought I would try it out this month and see if I actually used it. Next I have my meal plan for the month, which I will fill out week by week. Again this is a new system, as normally I just write them as and when, but I thought it would be fun to see the whole month at a glance. Alongside that I have a page called Little Loves for my #LittleLoves posts which I write each week and link up with Coffee Work Sleep Repeat. 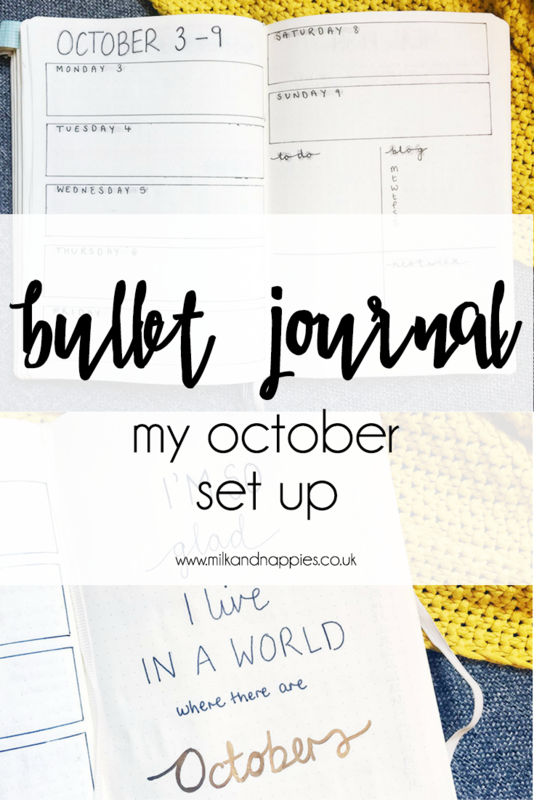 I actually got the idea for this from Hayley from Home who has recently shared her Bullet Journal set-up, and has something similar in it. I've then got my weekly spreads, which I've stripped down and taken back to basics. 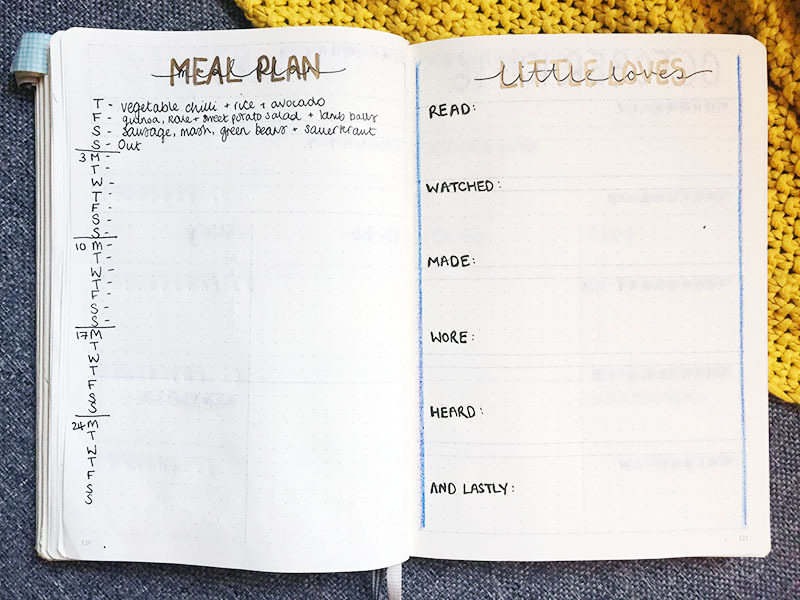 I used to track so many things, such as my meals, my five a day, my reading and so on, but I felt like I needed a little break from all of that this month. Instead I have a simple grid for my to do list, my blog planner, and a space to jot down my plans for the next week. There's also one blank spot that I actually haven't actually got a use for yet; I will just use trial and error throughout the month and figure out what I need. 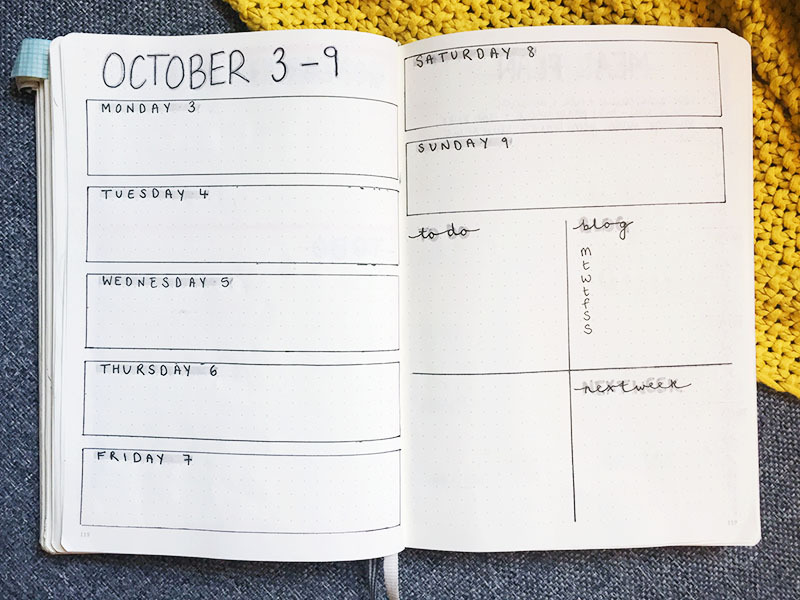 That is the beauty of a bullet journal, you can make it fit your needs at all times. And that's everything I've got at the moment! Very stripped back from what I'm used to, but I'm excited to go back to basics, and find out what works for me again. 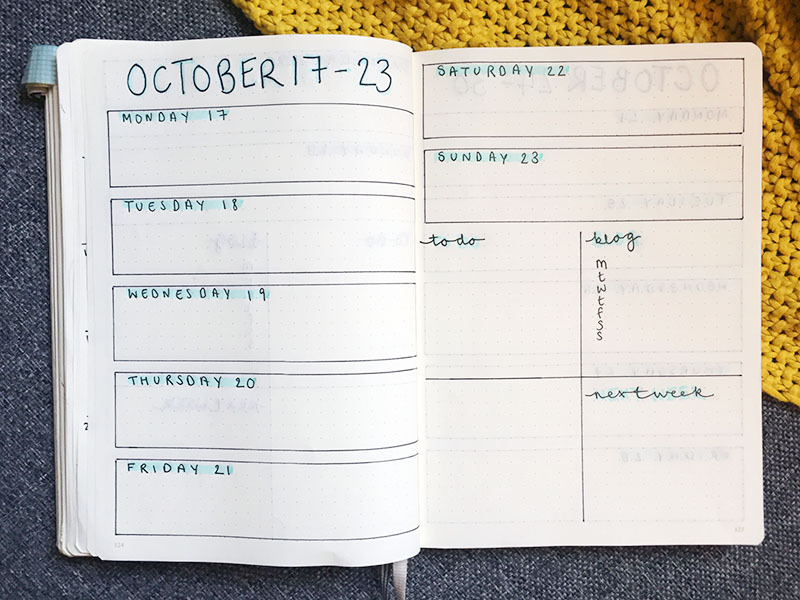 I think that has to be my favourite thing about having a Bullet Journal as opposed to a regular diary; the flexibility just makes the world of difference to me. For reference I use a dotted Leuchtturm 1917 notebook with a white cover, but there are so many colours to choose from (next time I want the turquoise one!) + Staedler Triplus Fineliners which are brilliant as they don't go through the paper. I also love using Mildliners which are a type of highlighter, but come in unsual, more muted shades - my favourite one is grey! To decorate the pages I often use washi tape, all of which I buy on eBay as they are so cheap and there are thousands of colours and patterns to choose from. I also use a good old fashioned pencil, along with a ruler and rubber, when I'm planning out my spreads so I don't make any mistakes. LOOOOVE this. Need to pluck up the courage to post about mine at some point...courage required because I'm terrible at anything creative and so all of my layouts are almost direct copies of those I've found on Pinterest. It's hard to admit you're not a visual person! Love the look of yours, especially that Little Loves page. I'm going to have to check out that link. I love this layout!! I may borrow a few ideas for my own bullet journal!! Love the whole month meal plan!!! The simple weekly layout is just what I need and kind of do at the moment but need it to be a bit more structured. This is why I love my bujo it's so flexible!! I love the Anne of Green Gables quote, and your handwriting is dreamy - you should see my chicken scrawl! I love your weekly spreads. They definitely look stripped back and simple; that's kind of the gist of my bullet journal overall, so of course that appeals to me. I hope the new changes work for you; it'll be interesting to hear your feedback next month. OK. I need one of these! Where's the best place to buy one or does one just buy a regular copy book and dickie it up? I'm clueless but I need in on this BUJO action! I bought mine via Amazon and went for a dotted Leuchtturm 1917 (linked in the post) but you can use whatever works best for you!